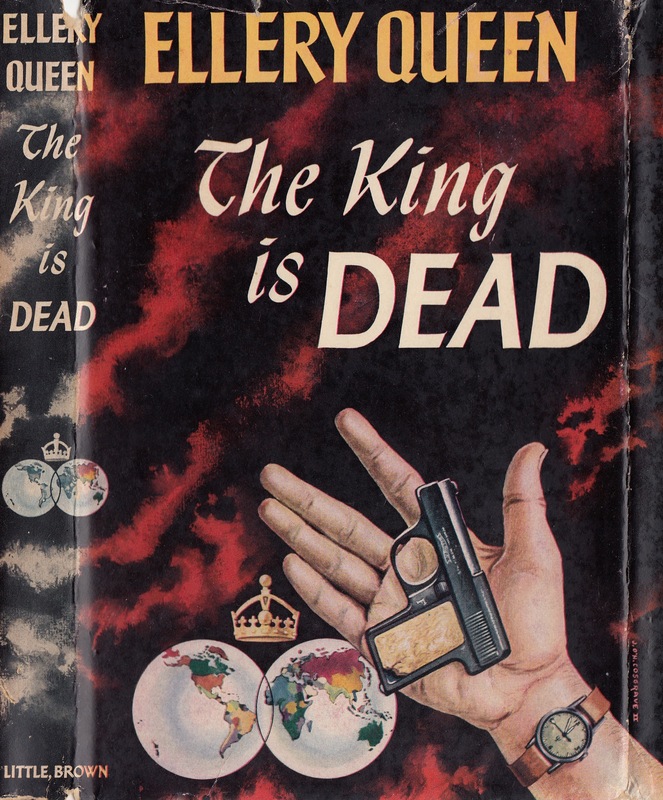 This is an interesting read, along with the other politicized Queen novels which proceeded it. It takes place in New York, on a secluded island, and Wrightsville (surprise, surprise – everyone’s from Wrightsville!) 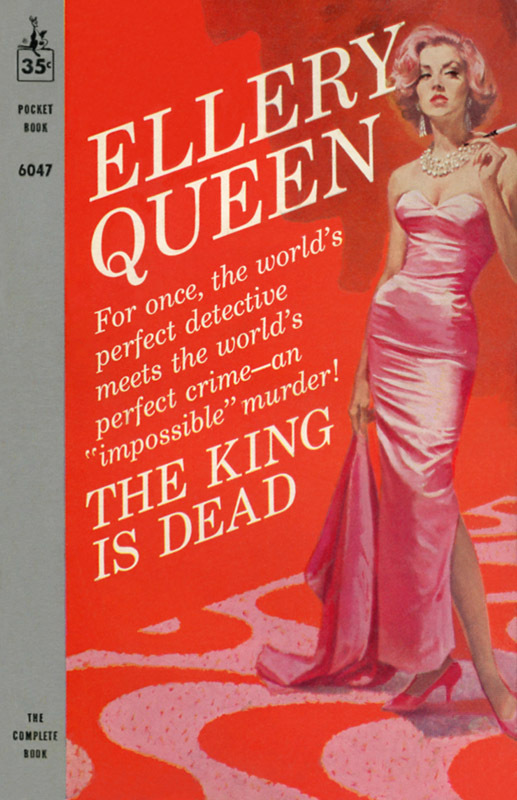 The novel is surely a part of the recent Queen style, yet it is also a throwback to the hermetically-sealed box novels of twenty years earlier. The enclosures get smaller and smaller: the main characters, who have left claustrophobic Wrightsville, end up on their own secret-location island, and the main event takes place in a locked vault. On the other hand, this novel serves as a vehicle for the cousins to discuss the morality of war-profiteering, and life-long aggressive misrepresentation. It was not merely the re-experience of old times in a place he loved; it was that he had just left a place he detested, called Bendigo Island, with its electrified fences and swarming guards and secret police with blank faces and robotized employees and its soft, curiously rotten air. This ion the other hand, was Wrightsville, U.S.A, where people lived, worked, and died in an atmosphere of independence and decency and a man never had reason to look back over his shoulder. This air, even mill-laden, could be breathed. Of course, this is still a mystery novel. The Queens are ostensibly transported to the island to discover the author of threatening letters, but soon realize they are there to witness an unsolvable murder, to be able to clear the guilt of all involved. The actual mystery part, which was central, yet somehow secondary, to the novel is full of holes. This is a genre novel with political aspirations. This is a throwback to the hermetically sealed room cases, but the characters and the world they live in are so intriguing as to make the actual aspects of the genre mere adornments of that room, of that space, created by the novel. At least one of the cousins was ready to do away with those genre adornments altogether, but that effort was still a year away. Thank you very much for kindly linking to my post. You’re very welcome. I enjoy reading your blog. A stunningly simple answer to a stunning locked-room puzzle, a palpable atmosphere of cynicism and evil, and Ellery’s told-via-diary trip to Wrightsville, almost a time-travel story within a mystery.